"Okay, Villa Squadron. Let's get them." On 29 October 1940, in the final days of the Battle of Britain, the German Luftwaffe mounted its last major daylight assault on Britain. codename "Villa" - led that day by Flt Lt 'Mickey' Mount, was scrambled to patrol over the Kent coast. From their altitude of 27,000ft – keeping just too low to leave contrails – they saw about 50 Messerschmitt Bf 109 fighter-bombers coming in over the coast. The dozen Spitfires of 602 swooped in pairs out of the sun, scattering the raiders, before returning to Westhampnett in triumph. The entry in the squadron operations book recorded this patrol as "perhaps the most successful the Squadron has yet fought". 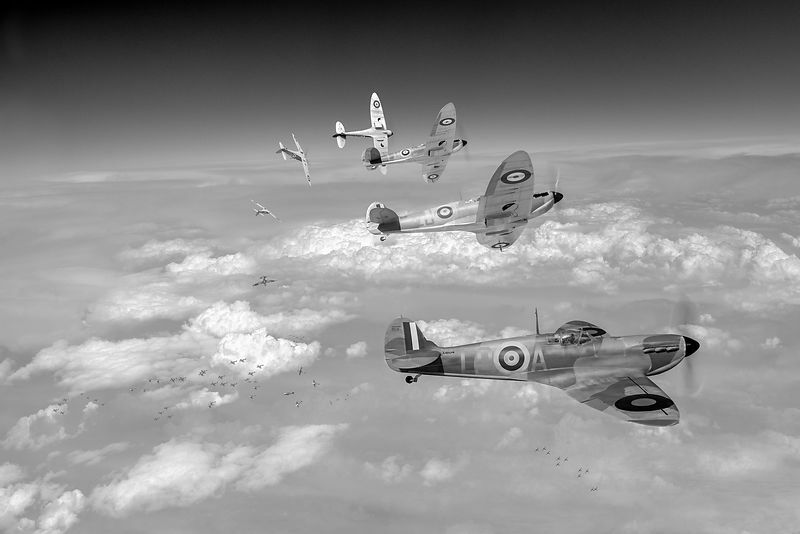 A subsequent communique from HQ 11 Group read: "Group Commander sends warmest congratulations to 602 Squadron on their magnificent combat at midday when they destroyed eight fighters and shot down two others without loss of pilots or aircraft creating a record for months past."